Cincinnati’s Contemporary Arts Center will once again kick off their popular Summer Film Series. 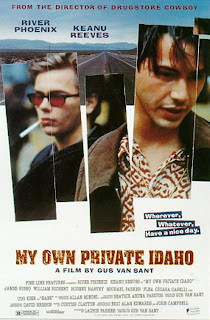 Tonight at 6 pm, the CAC will be showing the 1991 film My Own Private Idaho starring Keanu Reeves and River Phoenix. The film, a cult classic, follows two friends on a journey of self-discovery as they travel across the Western United States. Later this summer, the 1965 French postmodern film Pierrot Le Fou will be shown. It’s described as a biting social commentary, yet is one of director Jean-Luc Godard’s more accessible films. Admission to each film is free for CAC members, $7.50 for the general pubic, or $5.50 for students with a school ID. Stay tuned to the CAC’s calendar for a full list of movies to be shown this summer. Travis joined UrbanCincy in 2009 as a contributor, and quickly took over technical responsibilities for the site. After growing up in Cincinnati’s east side in Goshen, Travis earned an Electronic Media degree from the University of Cincinnati in 2009. Since then, Travis has been working throughout the United States as a web development consultant. After living in both Clifton Heights and Northside, Travis currently calls Cincinnati’s Over-the-Rhine neighborhood home.